P2P microfinance platform MYC4 has closed its discussion forum. Links to the forum have been removed from main navigation. 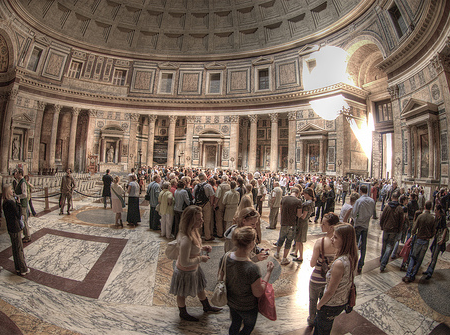 The official explanation on the blog says: “The forum was originally created to ignite a dialog among the investors. We haven’t seen all that many sparks recently. Most of the posts on the forum in the last year have been either investors asking specific questions to MYC4 or MYC4 communicating news to the investors. Not much dialog. We decided to try something different, so we created a blog. Lenders pinpointed things that were not working properly on MYC4 (e.g. default levels, certain processes, provider quality). They kept track on the results following up earlier announcements of MYC4 on measures taken. In many cases answers by MYC4 did not satisfy the persons asking. This negative customer experience became publicly visible through the forums, possibly deterring new lenders. So I do feel that MYC4, a company that at it’s launch trumpeted utmost transparency goals, chickened out. They no longer want to discuss and face customer demands and criticism in public, but rather elected to replace it with a blog, which is much more a one-way-communication channel. Everyone is invited to continue the discussion on the MYC4 forum here on Wiseclerk.com. Peer to peer lending is innovative and new. New users usually have lots of questions when grasping the marketplace mechanisms. Beyond the FAQ of the p2p lending service, a great place to learn is usually a forum, where users (mostly lenders) exchange experiences and post and answer questions. There are “official” forums provided by the lending services and independent ones. One of the first ones, the official Prosper forum, became one of the most notorious ones. After Prosper “moderated” negative and critical posts it later deleted the initial forum in total. When a copied version of the forum’s archive was made available on seperate internet site Prosper tried to shut the site down, but failed. But this is an extreme example. I found that on nearly all other forums a very helpful and supportive attitude rules. If I have missed any great p2p lending forum, please comment with the URL and I will add it to the above list. Thank you. Loanland.se is the first Swedish p2p lending service. Founder Daniel Kaplan, who in 2006 headed the successful sale of Swedish auction site Tradera to Ebay for 48 million US$, sees a great potential for peer to peer lending in Sweden. At Loanland, borrowers with the best credit grade can borrow up to 300,000 SEK (approx 45,000 US$), while borrowers with the lowest admitted credit grade can borrow up to 3,000 SEK (approx 450 US$). But borrowers are able to achieve a better credit rating by paying back on time and then can later borrow a larger amount, says Kaplan. As of today the site had 4 loan listings with interest rates between 4 and 14 percent. Minimum bis seems to be 250 SEK (38 US$). Loan term seems to be customizable as 3 of the current listings are for 3 years and one is for 1 month. Loanland is backed by experienced entrepreneurs. Aside Kaplan there are Mary Groschopp, before at OMX, Peter Nordlander, founder of Avanza, Peter Settman, founder of Baluba. If you use Loanland please share your experiences in the wiseclerk forum. As some of you might have noticed, the main page of Wiseclerk.com changed today and now offers a p2p lending discussion forum. I believe there is a huge need for information on the developing p2p lending services. In this spirit I started Wiseclerk.com in April 2006 to create useful overview reports on Prosper. 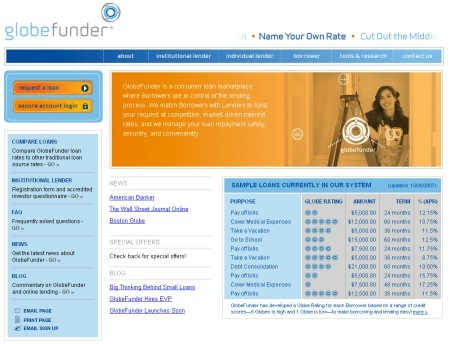 While it was not the first site of this kind (some oldtimers may remember Savagenumber.com by atlantageek) it did grow quickly and built a loyal userbase among Prosper lenders. Prosper did from the beginning support the efforts of developers by providing data publicly and later offering data export interfaces and APIs. Both the Wiseclerk reports and the later added blog were started with a focus on Prosper. That was appropriate at that point in time but now I think a broader view is needed. Lenders can choose between several p2p lending services and the flow of information needs to be taken to a meta platform level. Lenders that lend on several platforms will not want to check several forums – each one tied to the single platform. The new forum will also serve as a feedback and discussion location for ideas and news published in the p2p-banking blog. Later today I will add a display into the blog that shows the latest discussion threads from the forum. Today I will take a look at the communication approaches of Prosper, Lendingclub, Zopa and Smava. Since it is hard to judge the individual customer support these companies offer, the focus of this post is on the mass communication channels. To communicate their services to the lenders and borrowers the services can use the website's FAQ/tutorials, a forum, blog(s) and newsletter(s). Prosper has very detailed FAQs, which leave no aspect open. There are tutorials, videos and webinars. The Prosper forums are very active. While Prosper announce changes to the service in detail (here), the policy usually seems not to comment on individual users questions (except for the bug report section). Prosper seems to rely on users to communicate and educate each other in the forums. There has been criticism about censorship and deleted posts in the forums which led some users to set up an prosper independent forum. As far as I can tell Prosper has no blog of its own, but there is a personal blog of the CTO John Witchel. But it is not very active and will probably not be found by the average Prosper user. The Zopa FAQs are detailed, too. The Zopa Forum is quite active with Zopa staff members responding to posts and questions. Zopa has a company blog which has a leisurely tone and often is offtopic. In my opinion it could get more informative for lenders or borrowers. The same applies to the newsletters Zopa sends out. Smava maintains a very detailed and good FAQ. The Smava forum is pretty quite, but Smava staff usually is responsive to user questions. There is no blog. Smava is only 3 month old and so far there have been only 2 or 3 newsletters, which were mainly a summary of developments. Lendingclub communicates very different from the others. Mainly it relies on it's blog which is in fact directly on the Lendingclub.com homepage. The blog is very active with up to 2 or 3 posts per day. Not only does it explain details of the lendingclub service but also has general advice on personal finance, e.g. on obtaining and maintaining good credit. Lendingclub has lots of guest authors contributing to the blog. The FAQ are somewhat hidden and only available to logged in users (unless you know the direct link). The information, when located, is detailed (e.g. states). As far as I am aware there is no Lendingclub forum. My impression is that Prosper and Smava communicate in a style that appears more corporate and 'old fashioned' always pondering what information can be released and what for. Prosper has occasionaly received rather aggresive feedback of users, citing them of being non-responsive to the wishes of their users. Zopa has a more buddying tone – hey take it easy. Lendingclub sounds educational to borrowers, aiming to help them by supplying them information. On the other hand Lendingclub's approach seems a little marketing driven, because their approach gains them search engine and blog visibility.